Oh my goodness! I had no idea it has been SO long since I last posted here. Probably because I am working toward the “whole food vegan” thing, and I always talk about the food I enjoy. What if I do not succeed? It’s rather embarrassing to talk for several months about the progress I make, then I fall off the wagon and end up with a mouth full of hotdog and chili! Anyway, after watching Forks over Knives (see January 16, 2012 posting), I’ve been focusing on vegan and whole foods eating. When I stray to an animal product, such as milk or cheese, I do not berate myself for long. Even though I believe I’d be better off with NO such food, I will not give up on the success I have made because I have 1/2 Cup of Half & Half and 2 Cups of skim milk in a week. And sometimes on Tuesday nights when I work and plan a small supper, 1 oz. of cheese is usually involved. That confession made, I will focus on making sure there are NO other animal products, and eventually I may eliminate the foods mentioned in the previous paragraph. But right now, I’ll share a few pictures and tell you about my new attempts at Indian food. This past weekend I went back to this same restaurant and tried their biryani with vegetables. Oh my! My new favorite. Perfectly prepared basmati rice, bite-size pieces of white potato, carrots, and green peas. Add a side of naan and the best onion/tomato curry ever – and I smiled until I could eat no more. Extra treat? There was enough left over for three more meals; I’ve eaten two and froze the rest for one more treat. Today I am going out to lunch, and since this restaurant is not very veggie friendly, I will stick to the salad bar. They have fresh veggies there and two oil/vinegar dressings. Supper at work will consist of Triscuits, 1 oz. cheddar, dill pickles, celery and peanut butter, and fresh fruit. Already prepared and easy to eat while I read a bit. 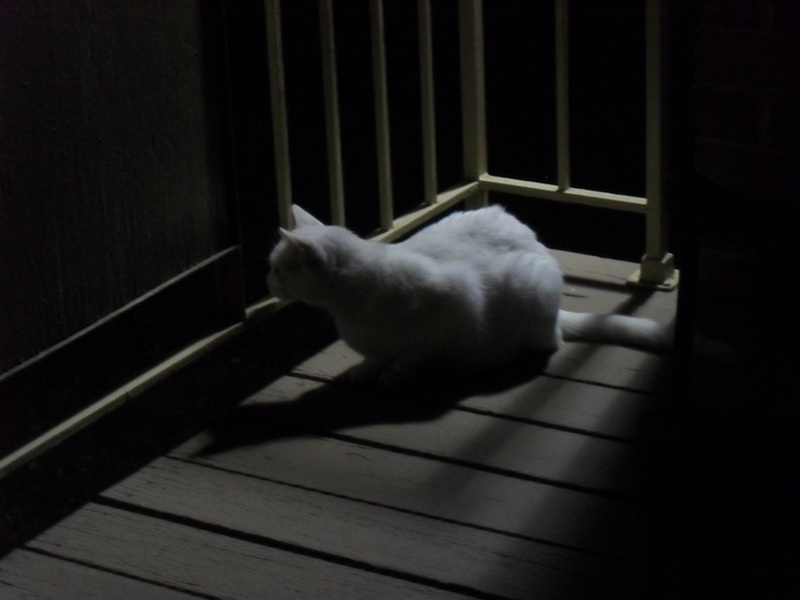 My cat Kimba, enjoying a few moments on our balcony in the early morning. An appetizer I shared with the hubby and our daughter in Charlotte, NC a few weeks ago. 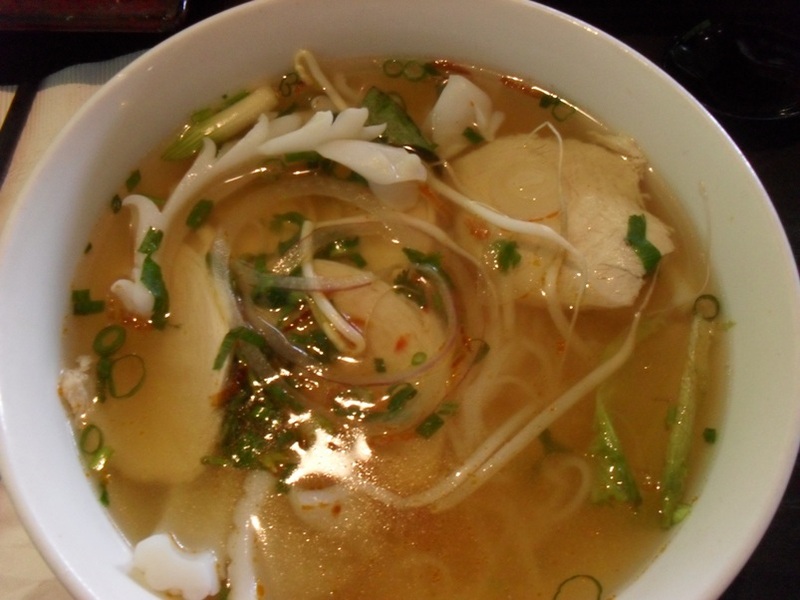 Delicious food at a Vietnamese restaurant, Phở Real. 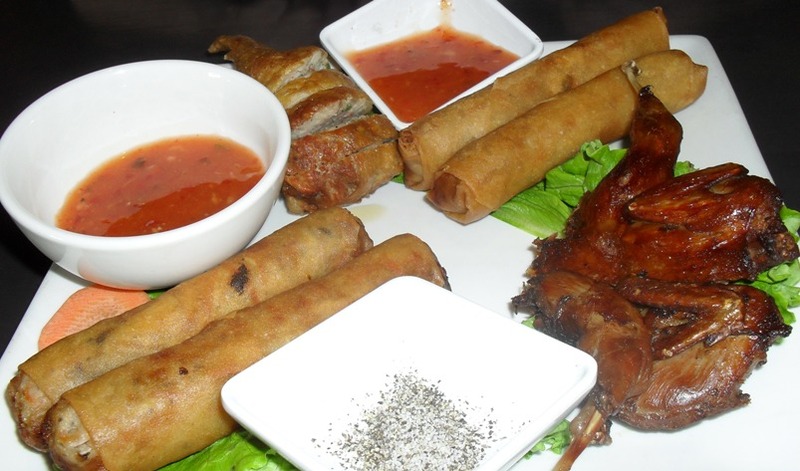 I ate the two veggie spring rolls – oh yum! 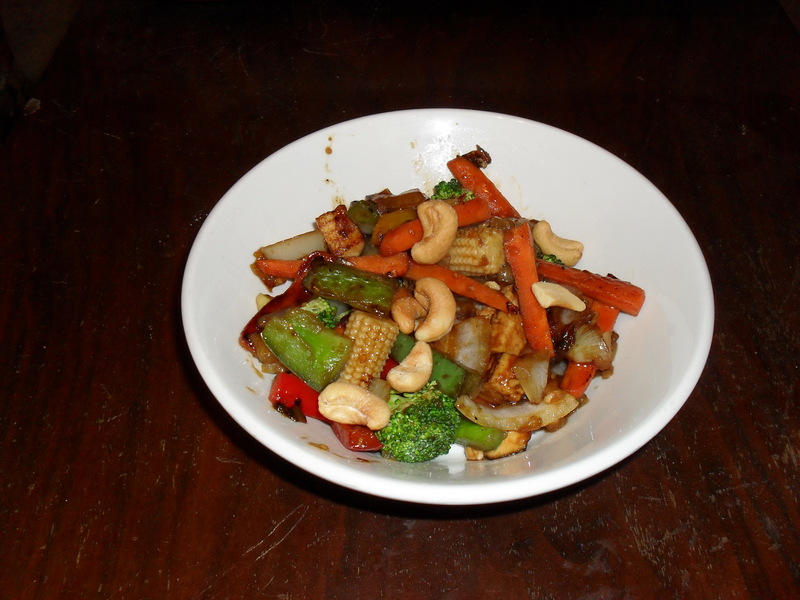 Tofu and veggies in a brown sauce with a hint of peanuts. Scrumptious! Brent and Hannah each had chicken phở. If I remember correctly, they ate it all! Soon after the Vietnamese meal while still trying to back away from fish, I prepared a lovely spinach salad. Topped with fresh fruit, candied pecans, and salmon I first marinated in a soy sauce/turbinado sugar/ginger mixture before “grilling” on top of the stove. Tried tofu again yesterday. Truly, I tried. I believe very strongly in the soybean, and I believe tofu is a very healthy food. But it still feels like tofu and chewy and squishy. I like fried clams, and they are chewy on the inside. Just don’t get it with me. I marinated it in a brown sugar/crushed pineapple/mustard marinade. Delicious! Sweet and sour sauces are some of my favorites, and this one sits near the top. I cut the tofu into small pieces before marinating for several hours, then fried it a little, then added a little soy sauce and my fav raw vegetables. 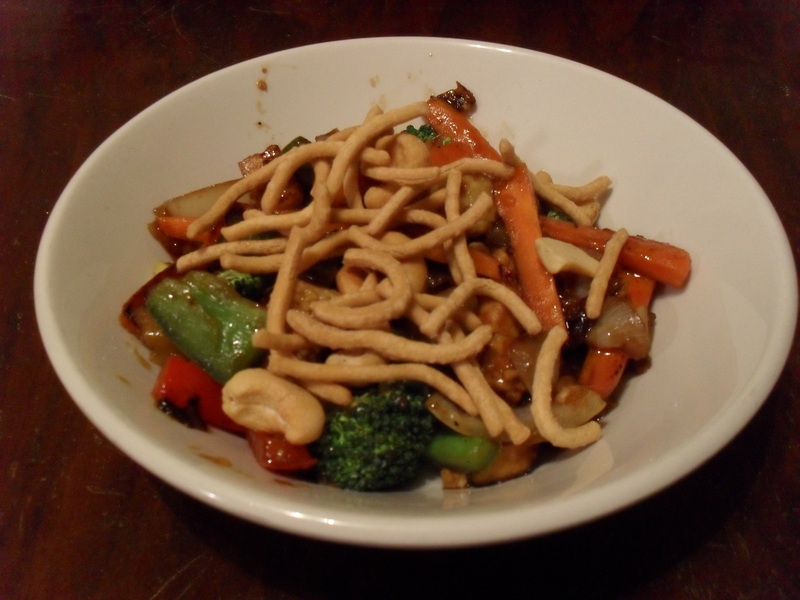 Crunchy is my favorite, so I added a few cashews and crispy noodles on top. It was a tasty meal, but after awhile I was pushing aside the tofu. Hmmm….. maybe next time I will make sure with every bite of tofu I also eat a crispy noodle or nut? You know, to camouflage the squishy. As I gradually fool my senses from the squishy, I should soon be able to leave off the nuts now and then. 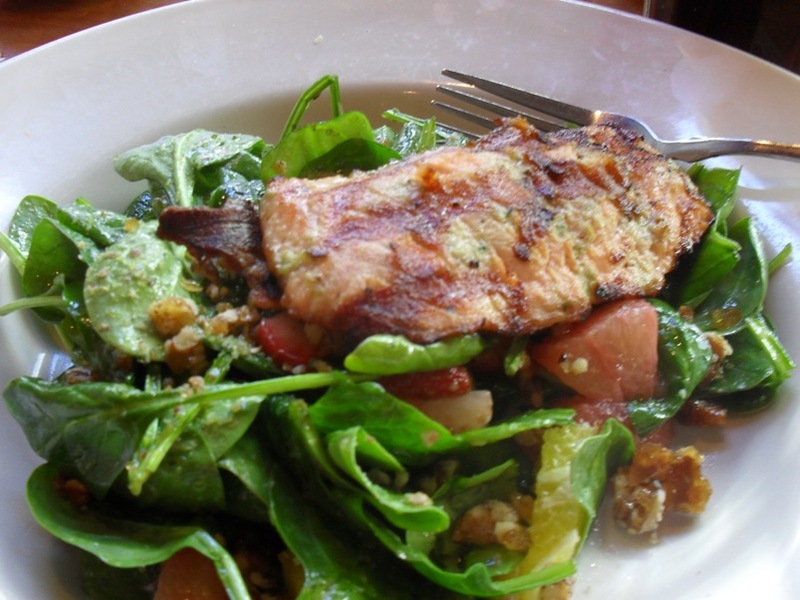 When avoiding meat, I tend to over-do on the starches, and for someone who is already overweight, too much of that culinary delight is not a positive. 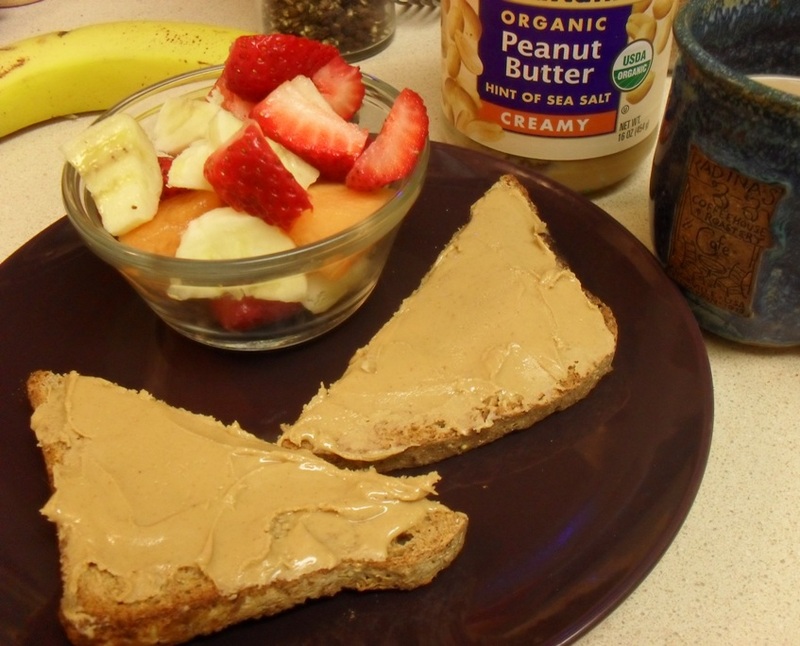 I could probably just add the nuts always and forget the tofu, but I did that last time I followed the pescatarian plan and after two years simply got tired of every nut out there. Nuts also make up a part of my snacks during the day, and it began to feel as if I was eating them all the time! 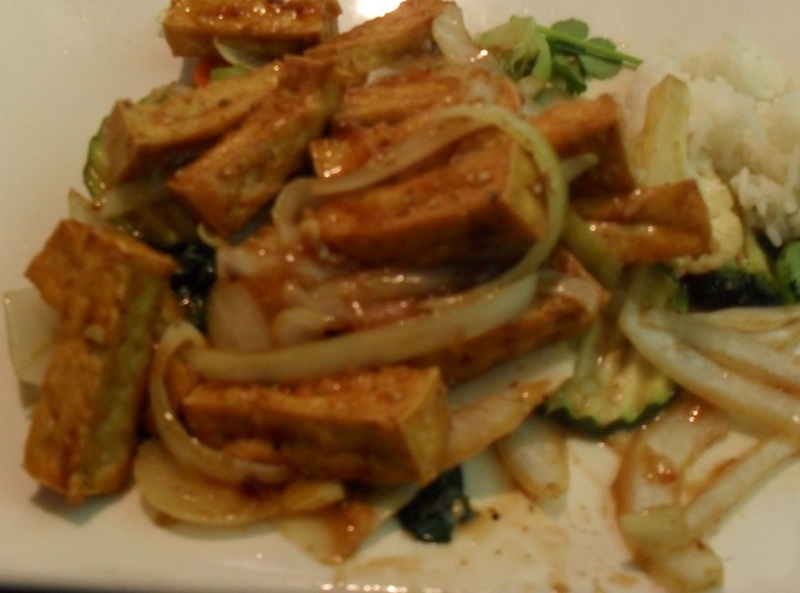 However, in this dish, the tofu was the best I have ever tasted. There is more marinating in the refrig right now, and more of my favorite vegetables to be added. Tonight I will try it again. But here are two pictures of last night’s supper. There is tofu, broccoli, bell peppers, tiny corn, onion, and carrots. No rice or regular noodles because of the crispy noodles on top. It does really look tasty, don’t you think? Now with the added crispy noodles!